Get Approved for up to a $500,000 within 15 minutes. 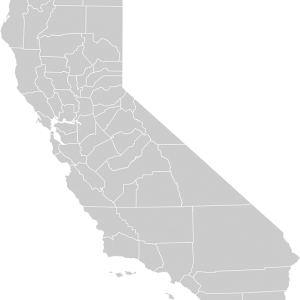 We have physical locations in Orange County, Los Angeles, San Bernardino County, and Riverside County, and serve all surrounding areas. Our family has been providing Southern California with bail bond services since 1958. Need a Bail Bond? Contact our Trusted Licensed Bail Bond Agents and speak with a real person now. Even if you don’t know where to begin we do. We have more than 50 years of experience arranging bail bonds. What you need is someone who will have your back at every step of the process and remain compassionate to your unique needs. Our multiple offices throughout Southern California never sleep. No matter what the time of day or night, Bail-Bonds.com is here for you, your family, and friends. Bail-Bonds.com is open 24 hours a day, 7 days a week. 365 days a year. No matter where you are we are almost certain to have a physical location just minutes from major jails including the LA County Jail, LA Men’s Central Jail, West Valley Detention Center, Riverside County Jails, Orange County Jails, and Lynwood Regional Jail. Let us come to you at no extra cost. Our compassionate, knowledgeable and licensed bail bond agents will come to your home, office, or jail as part of our service. Our team of bail bond agents are highly trained, knowledgeable professionals with decades of experience working with the intricacies of the California bail bonds industry. To speak to a real life licensed bail bond agent, call (888) 224-5911 or email us. We are at your service providing bail bonds and free bail information 24 hours a day, 7 days a week, 365 days a year. A bail bondsman will patiently walk you through the entire process of securing bail. You can be sure the bail bondsman from our company will work with total devotion and zeal, understanding what is at stake. Bail-Bonds.com has handled a sizable number of Orange County bail bond cases. Our bail bondsmen are amongst the most experienced and professional of all Orange County bail bond services.